Multiple Award–Winning book series helps to build a strong, foundational relationship with Jesus, while teaching love, and compassion for others! Melissa likes to brag that she can swim the fastest, climb the highest, and has the best of everything. Corey finds her crying in the sand box with her broken shovel, the only toy she had. They all chip in treasure coins for her birthday present. Melissa prays, giving thanks to God for her friends, and learns they are more important than all the toys in the sea. 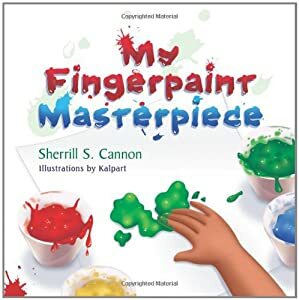 Multiple Award-Winning book series helps to build a strong, foundational relationship with Jesus, while teaching love, and compassion for others! 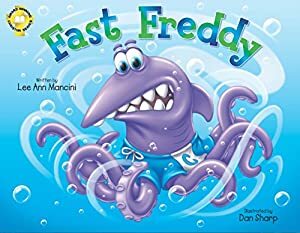 Fast Freddy is one of the sea kids that live in the “coralhood.” Fast Freddy overcomes the ridicule of being different (half shark, half octopus) from the other kids in his new school. Once they find out he can swim fast like a shark, they ask him to join the swim team. They realize he is a great kid and are happy that he helps them win the championship for the first time. He comes from behind overcoming Marcus who is a formidable threat on team Barracudas. His octopus arms wave in victory as he crosses the finish line! Freddy receives the MVP award, but says a prayer of thanks to Jesus for being different and having new friends. 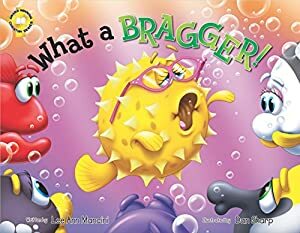 Lee Ann Mancini and Dan Sharp have created an underwater world that explodes with color, drawing the children into the captivating story. Readers Favorite, FAPA, IBPA and Mom's Choice award. "It is your uniqueness that's really the seed. Embrace it! Exploit it! And you will Succeed." 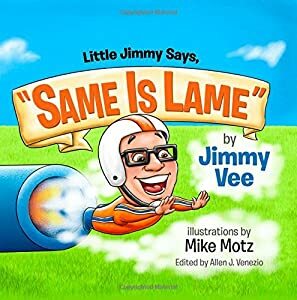 Little Jimmy is a small guy with a BIG mission... help people realize how special they really are. In these fun-filled pages you'll discover what makes you unique and why being different is actually cool. So hurry, hurry! Come one, come all! Step right up. Kids of all ages, shapes and sizes are welcome and special in Little Jimmy's wondrous and wacky world. Clarence and the Traveling Circus teaches kids to follow their dreams, no matter how big. Although he is nervous, Clarence proves to others and himself that he can achieve his dream if he believes in himself. 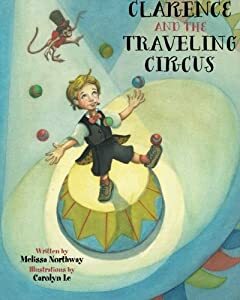 See what happens when the traveling circus comes to his town - will Clarence be able to follow his dream and overcome his fears? 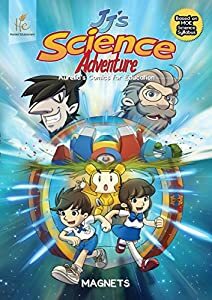 JJ's Science Adventure is a series of educational comic books designed to help readers master key learning objectives stated in the Singapore Ministry of Education's Primary School Science syllabus. After receiving their birthday presents from their grandfather, Joyce and Jonathon find themselves in possession of two bags which transform into a talking robot (Robo) and a teleportation portal. With a set of keys from Robo, the kids open the portal into sub-dimensional world created by the 'World Maker', an incredible invention by their grandfather to help them learn science. In this adventure, the twins journey into the World of Magnets where they discover the physical properties of magnets and solve challenging puzzle traps laid by their grandfather. Will they survive the constant sabotage by a Minion sent by Mr Sinister and win the prize, a piece of puzzle key which unlocks yet another secret? In this book, we provide additional information in the DID YOU KNOW and CHALLENGE YOURSELF sections. In the DID YOU KNOW section, readers will learn about additional uses of magnets in real life situations like MagLev (Magnetic Levitation) train and MRI (Magnetic Resonance Imaging) Scan. In the CHALLENGE YOURSELF section, readers are tested on the scientific concepts of magnets.